After the recent fires in the UAE we thought it might be a good idea to remind everyone of the ways to help stop fires happening. Be a responsible resident. It’s been a tough time for the firefighters in Dubai and the other Emirates. Having to deal with fires in the high towers of Dubai Marina and Jumeirah Lake Towers shows the extent of their training. They managed, along with other Civil Defence departments, to successfully extinguish the fires and save lives. We should all appreciate their efforts. No-one wants a fire especially in their home so we’ve put together some pointers which you should always keep in mind. Don’t think that accidents don’t happen, they do and they could, to you. Be safe. Believe it or not these are there for a reason – to help save your life. Most are integral with the electricity system and monitored by security and are often connected to Civil Defence. Do not disconnect any smoke detectors. These save lives – keep them connected. Do not remove any batteries connected to smoke detectors – this will stop the smoke detector working. Do not cover smoke detectors with anything – paper, material, plastic etc. Sand, dust, dirt or even insects covering the sensor chamber – that’s when your maintenance team should step in and clean it for you. There should be an annual maintenance check – make sure you allow access for this life saving check. The smoke detector system may be connected to other sensors in the flat or villa. There may be smoke in another room in the house and you can’t see it or smell it. Sometimes a loose connection may set off the alarm – leave this to the professionals. Call your maintenance team. If your smoke detectors are battery operated check the batteries every six months or so – put a note in your diary. This is important. It’s a wise person who keeps a fire extinguisher and a fire blanket in their home. 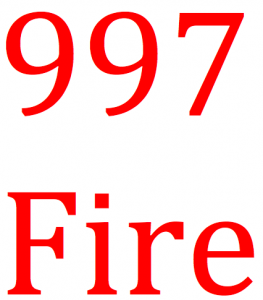 Being cautious and being aware of the dangers of home fires can help prevent fires starting. Sometimes, though, accidents do happen and having a few items to hand to help alleviate any potential problems would be wise. They don’t cost much and you can find them in hardware stores, e.g. ACE. Buy from a reputable retail outlet or supplier and check the date of expiry – yes, like batteries, they don’t last forever. AND don’t forget you should always keep a fire extinguisher in your car. You just never know when you might need it. We’re putting together a comprehensive guide on how to choose, what certification is required etc with the help of NAFFCO, who have a ‘passion to protect’. This guide will be out next week. In the meantime, if you have a query contact us. 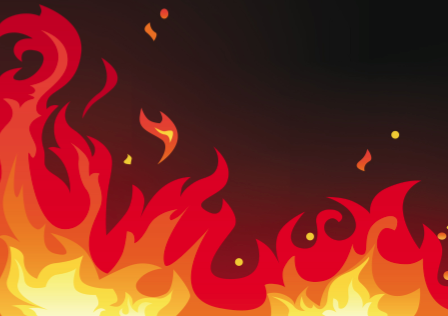 This is one of the top causes of fires in the home (and don’t forget injuries too). Cook when you’re tired or have taken medication which may make you sleepy. Avoid drinking and cooking – you can guess some of the consequences. Leave the kitchen when you’re cooking – especially if you’re using cooking foods in oil. You’d be surprised how quickly fires start. Kiddies and pets are the loves of your life and your family. Keep them safe at all times and away from the cooker. Pot handles are easy to catch and if a pot of boiling water or hot oil can do untold damage to you, your children or pets. Keep them turned into the cooker. Be the idiot that uses an outdoor BBQ or grill inside the house. These are designed differently and are very dangerous when used inside. Keep electric cables away from hot surfaces. When you’ve finished cooking and you’re about to leave the kitchen check that everything is switched off. Accidents happen. Make sure you’re insured but, and just as importantly, be sensible when you’re cooking. Turn off the heat – if you can. Don’t be a hero if the fire has spread and impossible for you to reach, leave the property and call 997. If it’s possible, what you want to do is stop any air getting to the fire so you need to cover it with something – the pot lid, a pot holder or a fire blanket. Just be very, very careful when you approach the fire. When everything has cooled down move the pot but make sure it’s cool before you touch it again. Turn off the oven if you can or disconnect the source of electricity/gas. Even in hot countries there are some people who like to see a ‘home fire burning’. If you have one or you’re visiting a home with one, please be very aware how easy it is for children to be burned by touching hot surfaces. It’s also not impossible for some free-standing fires to be tipped over and cause the fire to spread rapidly. Ladies (and perhaps some men?) please remember to be very careful with your hair straighteners. They can cause severe skin burns as well as house fires – hair straighteners reach temperatures of about 220 degrees Centigrade and can take quite a while to cool down. Children’s skin is 15 times thinner than an adults and can burn very easily and don’t forget how much they love to play with dangling wires. Be careful. NEVER let children within arm’s reach of hair straighteners. Remember to switch the hair straighteners off at the wall socket, unplug them and move them to a place of safety, away from children or where you can trip over them, and put them in a heat resistant pouch. Most hair straighteners now come with a heat resistant pad or pouch. Make sure you use it. Keep the containers away from anything which produces heat – cars, lawnmowers, ovens etc. We’d have to be from another planet not to appreciate that paper, wood, some furnishings etc can catch fire easily. Be careful. Look after these items – store them carefully – and any other in the house which just might be flammable. We love candles nowadays but these lovely romantic evenings can easily be disrupted if we don’t put a little thought into our safety. If there’s no electricity – grab a torch instead. Keep one handy and check the batteries every 3 – 6 months. If you are not going to be in the room, don’t light candles or at the very least blow them out (make sure they’re properly extinguished) when you leave. If you’re tired, just close your eyes and don’t light candles. A peaceful sleep would be better! Pets can be excitable as can children – do not light candles when children or pets are around. If you place candles beside paper, curtains, bedding, cushions or even sofas be aware that a fire could start. Move the candles away by at least 3ft. Place candles in a sturdy holder. Make sure they cannot be knocked over easily. When you’re about to chuck one in the garbage run them under the tap or at least put some water on them. The candles that operate by way of batteries look like real candles – be safe – use them. Electricity is an amazing invention – where would be without electricity today? One little problem is that if you don’t take care of cabling and appliances then you could be in for more than electric shock! If you notice any signs listed below call out the experts – a qualified electrician. We appreciate that Dubai may not have too many qualified electricians but they’ll be a whole lot more experienced than you! Try to find one that’s qualified though. If lights flicker or dim – and you’re not trying to recreate strobe lighting or there isn’t a dimmer switch! An outlet or light switch feels warm or is discoloured – this isn’t right. Any sparks from an electrical outlet – this is definitely not right. Fuse-boards and circuits which ‘blow’ or break often – erm, a sign of something being wrong in there. Sometimes you can get a tingling sensation from an electrical appliance – well, that’s plain weird but definitely needs checked out. Accidents can and do happen. It’s best if children are made fully aware of the dangers by explaining to them to be safe and learn about fires and the cause of fires. Don’t let children play with matches, cigarettes or cigarette lighters. Keep these things away from children and preferably locked away. Children watch adults and copy them. If you like candles around your home, make sure an adult is always in a room where there is a candle burning. We’ve probably all seen awareness campaigns on TV where someone is smoking, falls asleep and a fire starts. This does happen! Remember – put that cigarette out. If you’re a little sleepy, have had a drink or a long soak in the bath and feel snoozy then put that cigarette out – carefully. Keep ashtrays in a safe place – on a flat surface. Never smoke in a garage and certainly never in a gas station. 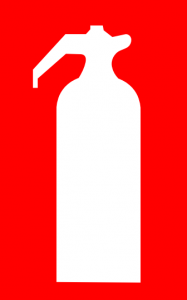 For safety’s sake, remember to keep a fire extinguisher handy in the garage and one in your car. Another life saving measure. At the end of the day, your and your family’s safety should be your first priority. Keep accidental and possibly dangerous fires to a very minimum by following the few basic safety rules.